God is so good. Thanks for sharing this amazing story. Oh Kinsey, That's beautiful. I am so happy to be joining you and your husband in praising God for His timing, His faithfulness and yes, His sense of humor. This story absolutely made my day! Your son is a wonderful person to sport a pink pump! God is so good! Thanks for an uplifting story. Great story..Thank you for sharing it with me. Makes me feel hopeful that God is always aware of our needs. Kinsey, even though you had told me this already, reading the story brought tears to my eyes. 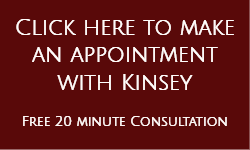 Kinsey, when I saw the title, I just knew it had to be you! What a gift of telling God's story in such a beautiful way! Thank you for sharing your faith filled journey. God definitely has a sense of humor. Kinsey, I was on a roller coaster reading your blog. I have a dear friend who's husband refused a pump for years and she, too, had to pin him down and try to stab the needle into him when his back was turned. It was HARD knowing what she was going through. Your post took me back there. Delighted for God's intervention and His sense of humor. Pink is a good color. Praising the Lord for His provision and His tenderlovingcare for all of you. (Sad the little girl died, though. But thankful for the generosity of her parents.) God bless you bunches. Thanks Pam. Rick had to register his new pink pump with the manufacturer and they offered to exchange it for a black one. Love this story. Thanks Rayna. Rick had to register his new pink pump with the manufacturer and they offered to exchange it for a black one. More smiles. We all need a reminder now and then of how God often provides, but not in the way we would ask or imagine! I'm so glad to hear God met your need.